Within the website, information will be collected automatically or when entered manually, in online surveys, registration forms for volunteers, donations or bequests or at other times. We may also link into other external platforms: like an external media platform to simplify a registration process, an external fundraising platform and other external sites. To access some features of the website, you will be required to submit some personal information such as a username and password. You may also be asked for personal information such as your name and address for example when you make a donation or offer to volunteer via this site. 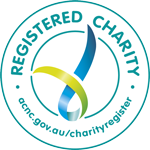 By sharing information with us, you authorise the Good Samaritan Foundation to share personal information with our corporate / organisation partners on a combined basis, as we see fit. The Good Samaritan Foundation endeavours to ensure that these partners have appropriate confidentiality and privacy policies in place in relation to your personal information. We do not sell lists or personal information that is collected. The information collected from our website will be used for the purposes that it was provided for and for any other purposes explained at the time of collection. Any additional terms and conditions applicable to the particular feature of the website include responding to questions and requests and to support users. Non-personally identifiable information related to our site and its usage may also be collected by the Good Samaritan Foundation to improve our site. External sites and suppliers we contract with and / or link to may also collect your personal information. We accept no liability for external sites and suppliers’ collection, storage or use of your personal information. If you would like a copy of the personal information that the Good Samaritan Foundation holds for you, we will provide this on request and/or make changes if there are any inaccuracies. If we receive personal information that we do not require as part of our services, we will make every effort to destroy this information as soon as possible and we reserve the right to do this without your consent in order to benefit you and your privacy. Please contact the Good Samaritan Foundation if you have concerns about the manner in which your personal information is stored or handled.